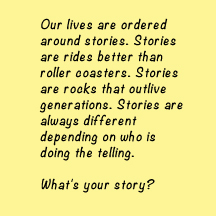 When this page is up and operational, it will combine centuries of story theory in a simple form to help writers give their stories an at-a-glance check up. Until then, please enjoy a few tidbits of inspiration that really get to the pith of what makes stories work well. 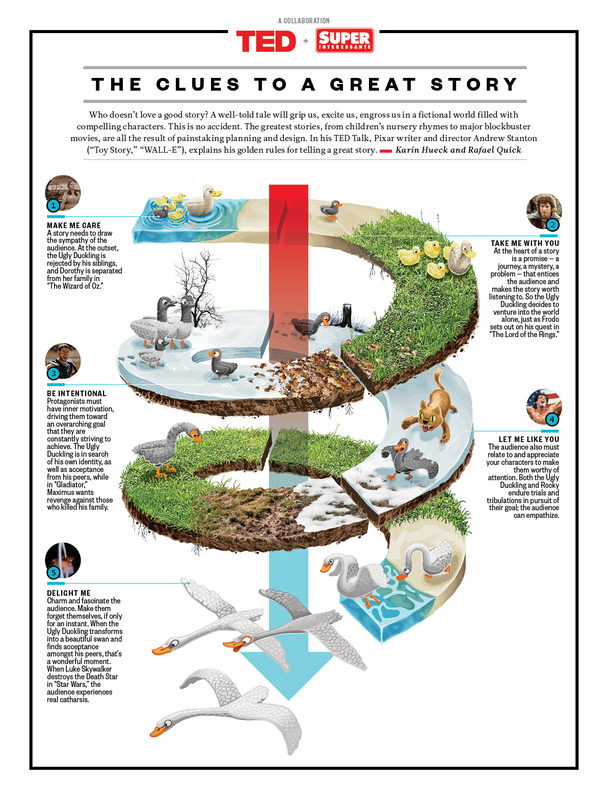 Acclaimed writer/director Andrew Stanton shares a heartwarming tale about story PLUS a fabulous infographic that can boils it down to an even more concise example. And this perfectly concise and articulated talk on creating stories for film, given by some old friends of mine, Chuck Williams and Aaron Blaise as they explain to students their story process on their new venture with Digital Domain entitled THE LEGEND OF TEMBO. I particularly like Aaron’s Rubick’s Cube analogy. (Update: Digital Domain’s feature division folded before TEMBO got into production).